I can’t get enough of this book. I get tingles every time I even think about it. That kind of story deserves to be read, re-read, and recommended until I go senile and can’t even remember my own name– but will probably still remember how amazing this book was. Code Name Verity, by Elizabeth Wein, is the story of two young women who meet while working for the British war effort during World War II. Before the war, Maddie trains as a a pilot and a mechanic, and is able to fly planes for the Air Transport Auxiliary. Along the way she meets Julie, a bright Scottish lass with a lot of spirit and a talent for persuasion. Their paths cross again and again, and the two become the closest of friends. After crossing over into Nazi-occupied France on a mission, the girls become separated, each facing different kinds of danger; each left to wonder what has happened to the other. I could say this book is about a lot of things: World War II! Espionage! 1940s feminism! Not to mention courage, loyalty, truth. 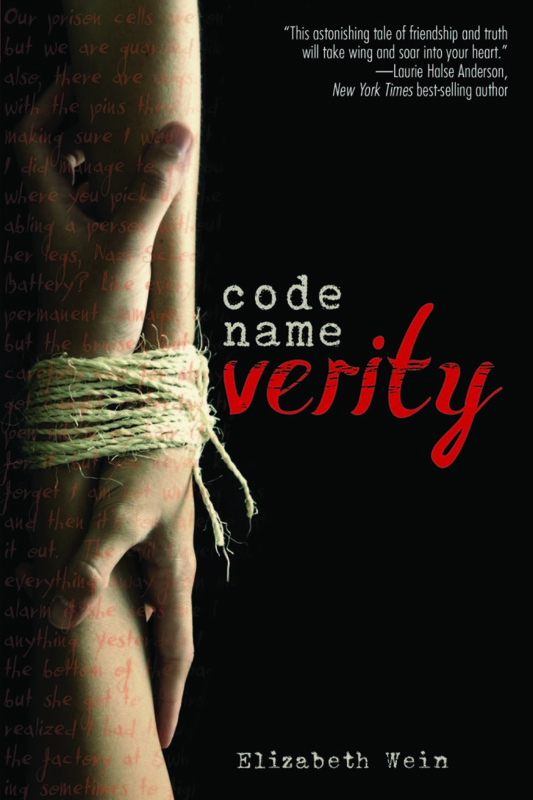 But at its heart, Code Name Verity is about friendship– a friendship fierce enough, brave enough, strong enough to survive all the above. Reserve the book at your local library by clicking here, or on the photo. I agree! I read this book a year ago and I still get shivers thinking about it. It is that good.